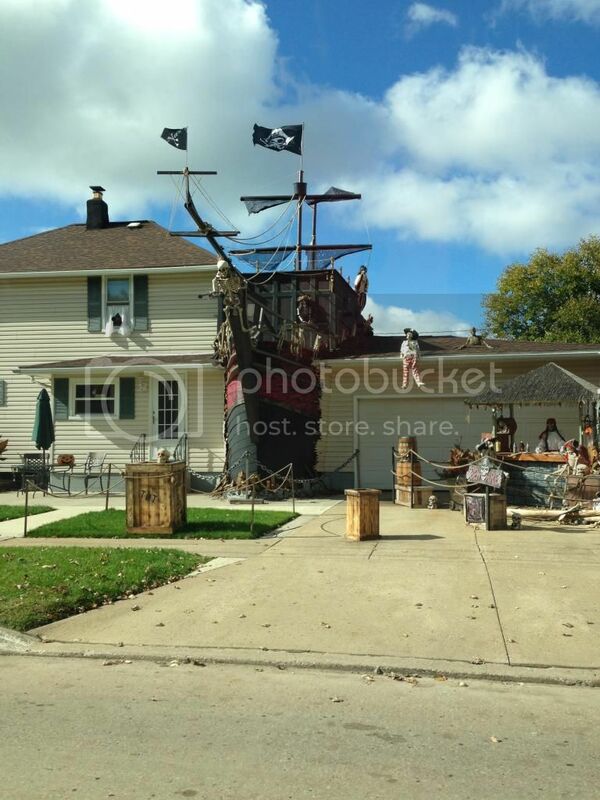 There is a local house that has been on the news and on different internet sites that is decorated like a pirates ship for Halloween. I heard about it and had to take the girls to check it out. I really had no idea what to expect but wanted to see what all the talk was about. The first time we drove past was during the day. I was in shock by what I saw. It looked amazing. The detail, the size, the layout. It was so much more than I expected. We went back again a few days later at night. 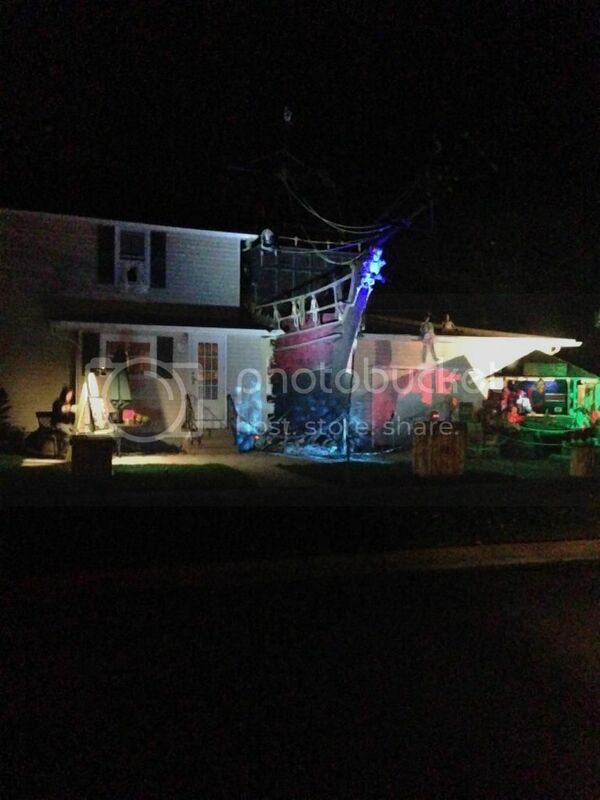 Does anyone in your neighborhood go all out for Halloween?